Markets take note of the escalating protests as the Bank of Thailand makes a surprise rate cut. Attention has swung back to Thailand in recent days as anti-government protests continue to escalate (again). Meanwhile financial markets have also begun to take note, and not only because weak economic performance and financial issues loom ever larger amidst the brewing political instability. On Wednesday, the Bank of Thailand caught many off guard by making a surprise rate cut. 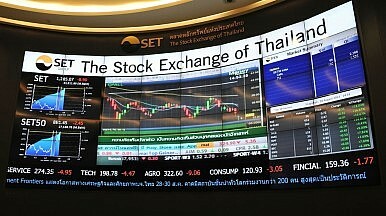 Thai sovereign bonds and stock markets rose on Wednesday after a surprise rate cut by the nation’s central bank. The 25 bps cut in the policy rate to 2.25 percent also weakened the baht, which is going to be hard-pressed to strengthen again against the political instability stalking Bangkok. On the same day, economic data from Thailand showed that exports had unexpectedly fallen by 0.7 percent in October year-on-year (YonY). The trade deficit for the month ballooned to $1.77 billion. Meanwhile, consumer confidence fell to the lowest level since spring of 2012. Earlier this month, Thailand’s state forecasting agency already cut its estimate of annual GDP growth to 3 percent from the previous 3.8-4.3 percent. The Bank of Thailand announced a similar cut to its estimate, from 3.7 percent to 3 percent. All of these worries combined will make Thailand more susceptible should the prospect of the U.S. Fed’s taper re-emerge in the coming months. Much attention has been focused on Thailand’s populist rice-buying scheme, which has already become an addictive subsidy (as highlighted this summer by Pacific Money that is putting significant pressure on government finances and debt levels. An official at Thailand’s Finance Ministry (despite the usual premises being occupied by protesters at the time) said on Wednesday that Thailand plans in January “…to raise additional money from the debt market…” for the rice-buying scheme. On Monday, the Bank of Agriculture and Agricultural Cooperatives (BAAC) – a state-owned institution which funds the subsidy – raised under half the 75 billion baht ($2.36 billion) it targeted in a bond auction on Monday, prompting the Finance Ministry official’s statement. Meanwhile Prasit Boonchoey, head of the Thai Farmers Association, told Reuters that the BAAC has recently told farmers that they could not pay them and that they had “…run out of money…” The failed bond auction will only add to the potential worries. Given the protests taking place in the capital and in other parts of the country, it might be wise for the government to make sure that at least its populist subsidy is paid on time, lest significant numbers of farmers decide that they might join the protesters already causing so much negative attention. Equally, the chances that political instability will hinder financial confidence, and thus the ability of the BAAC to fund the scheme cheaply, only increase. So far it doesn’t seem like such a vicious spiral is on the cards, but the headlines and gloomy economic outlook is already giving market participants and observers much cause for concern. The populist scheme is creating growing distortions, and threatens Thailand’s debt rating.